Apologies for my elongated absence. I moved house last week, so it’s been crazy busy. If you didn’t know anything about Middlesbrough’s Chris Rea, born into an ice cream-making family, or Salford’s Elkie Brooks, formerly an English Tina Turner-style screamer in Vinegar Joe and latterly an MOR Pebble Mill at One regular, you could easily hear Fool (If You Think it’s Over) as a species of yacht rock. Especially in Brooks’s version, it’s smooth, opulent, adult and eminently yachty. Have JD Ryznar and Hunter Stair claimed it as one of their own? Maybe they have. Fool (If You Think it’s Over) was first cut by Rea for his 1978 debut album, Whatever Happened to Benny Santini. It’s an undeniable song, but I always feel like his version’s a little too slow, and as a result doesn’t feel quite as effortless as it could do. Elkie Brooks’s 1982 cover, from her album Pearls, picks up the tempo by a few bpm, and this makes a world of difference. The same producer, Gus Dudgeon, was in the chair for both recordings, so it’s instructive to compare the two, even if we need to be a little careful in suggesting that the differences between the two versions amount to Dudgeon “fixing” the flaws he heard in Rea’s version. Especially as so much of it is the same. While the tempo is faster for Elkie’s version, the basic layers of the drum track are constructed in the same way, and it’s an excellent construction. Both recordings begin with drum machine, which runs throughout the track. The rhythm box on Rea’s recording is notably more lo-fi than on the Brooks version, but they sound like the same machine to me: the Roland CompuRhythm CR-78. You’ll have heard this classic drum machine on countless recordings from the late seventies, including In the Air Tonight, Heart of Glass and I Can’t Go For That. With the drum machine in place to give the song a steady four-square chassis, on top are laid some sort of shaken percussion (shekere, I think) congas and then full drum kit. On both versions, the drummers are almost heroically understated*, just playing two and four with a good feel and keeping fills to an absolute minimum. Brooks’s drummer plays the odd pssst on the hats, a little double tap on the snare going into the chorus and a few gentle cymbal crashes. It’s beautifully simple, but the effect when all the layers are added together is an ultra-smooth, great-feeling rhythm track (aided by some superlative bass playing) that has a machine-led tightness and a very human sense of power kept in reserve – and if you’ve heard Brooks belting her way through Proud to be a Honky Woman or Pearl’s a Singer, you’ll know how much vocal power she keeps on reserve during this song, too. I almost never do a post like this when I don’t know the identity of the drummer on the recording, but unfortunately, since Pearls is a compilation album, three drummers are listed on the sleeve, and no resource I could find online breaks down who plays on which song. So the drummer was one of Trevor Morais, Graham Jarvis or Steve Holley. This entry was posted in Music and tagged Chris Rea, cover versions, Drum tracks, Drums, Elkie Brooks, Fool (If You Think It's Over), Gus Dudgeon, production, Roland CompuRhythm CR-78, Roland CR-78, underrated drum tracks, underrated drummers, Vinegar Joe, yacht rock on December 17, 2017 by rossjpalmer. I’ve seen Crosby, Stills & Nash. They’re groovy. All delicate and ding-ding-ding. Jimi wasn’t wrong. CSN were delicate and ding-ding-ding; particularly in an era of heavy freakout records, Crosby, Stills & Nash could scarcely have sounded more different. Jimi’s own music sometimes traded sonic clarity for head-turning effects or the raw spontaneity of a captured moment. Such a mindset was pretty alien to the CSN way of working. How did they achieve this? When I hear the records the Crosby, Stills & Nash diaspora made together and separately in the early to mid-seventies, the word that springs to mind is lucidity. The parts are largely simple, recorded in a relatively no-fuss manner, with little in the way of trickery, and presented in mix in the most straightforward way possible. They’re bright without being cutting and harsh. They’re warm and intimate but not sludgy and ill-defined. There’s strength and muscularity there, but never in a way that overwhelms the music. By the time Bill Halverson recorded and co-produced 1972’s Graham Nash David Crosby — by which time he’d already worked on Crosby, Stills & Nash, Déjà Vu, Stephen Stills, If I Could Only Remember My Name and Songs For Beginners — he’d got the CSN thing down to an art. There are great songs all over the album, as we discussed on Sunday, but there are also great performances and sounds. And while Halverson gives Stephen Stills a lot of credit for the sounds on the CSN debut, Stills does not play on Graham Nash David Crosby; the sounds come from Halverson and from the musicians, who as we noted the other day, comprised the very best players on the West Coast/Laurel Canyon scene: Craig Doerge, Danny Kortchmarr, Leland Sklar and Russ Kunkel; Jerry Garcia, Bill Kreutzmann and Phil Lesh from the Grateful Dead; CSNY veterans Johnny Barbata and Greg Reeves; the Flying Burrito Brothers’ Chris Ethridge and Traffic’s Dave Mason. Doerge, Kortchmarr, Sklar and Kunkel are known collectively as the Section. When you listen to James Taylor, Carole King, Linda Ronstadt or Jackson Browne, it’s the Section you’ll hear. They were a key component of the sounds of the records made in LA for about a decade, starting in around 1971. No wonder they also called these guys the ‘Mellow Mafia’. Peter Asher had brought Kunkel and Kortchmarr in on drums and guitar for Sweet Baby James, looking for players who wouldn’t get in the way of Taylor’s vocal or intricate acoustic guitar playing. After that record’s success, the pair were involved in the recording of King’s Tapestry. Completed by pianist Doerge and the truly remarkable bassist Lee Sklar, the Section appeared as a full unit on the Jackson Browne and Nash and Crosby records, and later with Ronstadt and Carly Simon too. On Graham Nash David Crosby, it all came together. A great group of musicians, playing strong songs and recorded by one of the best in the business at the top of his game. Let’s look at a couple of songs. One thing you might notice listening to pre-1980s records is that the stereo image tended to be wider. There’s an approach to mixing often called LCR. LCR stands for left, centre and right. What it means is that elements within the stereo image are panned to those points only. Nothing is panned a little bit left, or a little right, or to 10 o’clock, rather than 9. There are advantages to this method. It’s bold, it clears a lot of real estate in the centre of the stereo image for the stuff that sells the song or holds it together (usually bass drum, snare drum, bass guitar, principle rhythm instrument if there is one and lead vocal), making the mix feel spacious, and it tends to provide a stereo image that feels stable even if you move around relative to the fixed positions of your left and right speakers. It’s something of an old-school technique, a legacy of an era where some mixing desks allowed you to rout tracks only to the left or right channel or both. 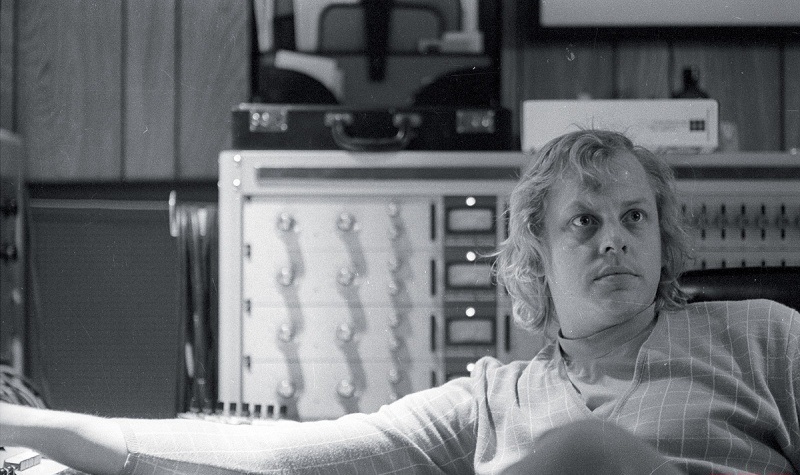 It started to disappear a bit in the 1980s, an era where – coincidence or not – the craft of record making began its slide into the rather dispiriting mess we have today. When you listen to say, Girl to be On My Mind, which has some fairly big drum fills from Russ Kunkel, you can hear a drum sound that appears to be a very narrow stereo (probably an XY overhead pair with close tom mics, breaking the LCR ‘rule’, panned to the positions where they appear in the overhead image), with an LCR mix constructed around it. Piano on the left, rhythm guitar on the right, bass and lead guitar in the middle, a stereo organ, and all vocals in the middle. It’s well balanced and extremely spacious. Everything has its place. It is, as I said up top, lucid, with a great sense of depth. While allowing for some lovely details – the manually ridden vocal delay at the end of the bridge for example – it’s extremely unfussy. Bold Southern European brush strokes, if you will. Here’s the rub: a mix this good is not achievable with a half-assed arrangement. Pan LCR with an arrangement that didn’t balance in the rehearsal room and it won’t balance on record either. A lot of young mix engineers are scared of LCR mixing as they haven’t worked with musicians that give them arrangements that create this natural internal balance. Or they’ve tried to create a wide stereo mix out of two or three elements (in a sparse mix, you’ll have a hell of a time creating a coherent whole if you insist on panning the acoustic guitar out on the left and the vocal in the middle, with a mono echo on the right – but then, there are some complete wingnuts crashing around out there). This entry was posted in Music and tagged 12-string guitar, absolutely classic albums, acoustic, After the Gold Rush, alternate tunings, ambience, analogue recording, Asylum Records, Audio Engineer, audio engineering, backing vocals, Barney Hoskyns, Bill Halverson, Bill Kreutzmann and Phil Lesh, Blacknotes, Chris Ethridge, close mics, Craig Doerge, Crosby, Danny Kortchmarr, Dave Mason, David Crosby, Déjà Vu, Doc Storch, drum, drum sounds, Drum tracks, drummers, drummers who can drum, drummers who can drum/singers who can sing, drumming, Drums, dry, engineering, Flying Burrito Brothers, Frozen Smiles, Games, Girl to be on My Mind, Graham Nash, Graham Nash David Crosby, Grateful Dead, Greg Reeves, Harvest and Graham Nash David Crosby, Hotel California, I'd Swear There Was Somebody Here, If I Could Only Remember My Name, Jerry Garcia, Joel Bernstein, Johnny Barbata, LCR mixing, Leland Sklar, Leonin, lucidity in mixing, Marrakesh Express, mixing, Mojo, Nash & Young, Neil Young, On the Beach, Orleans, Our House, Page 43, polyphonic organum, Russ Kunkel, Shakey, Songs for Beginners, sound recording, Sound recording and reproduction, Southbound Train, Stephen Stills, stereo pair, Stills, Stranger's Room, studio, Teach Your Children, The Section, The Wall Song, Traffic, Where Will I Be?, Whole Cloth, XY stereo on August 14, 2014 by rossjpalmer. I play the drums a little bit, but really I’m a guitarist. Nevertheless, since my mid-teens I’ve spent a good deal of my music-listening time focusing on drum tracks. My biggest peeve about the dominance of over-compressed mastering is the way it tends to make the drums smaller and more indistinct, taking away the impact and punch at the front of a stroke. It just reduces the physical response you have to the rhythm. And music, at bottom, is all about rhythm. So in the past, I’ve done posts where I’ve specifically talked about songs in terms of their drum tracks (here and here, but even my post the other day on Fairport’s Genesis Hall ended as a discussion of Martin Lamble’s drums). Today I’m just going to give a nod to a bunch of songs that I think have great drum tracks and that rarely get discussed in terms of what the drummer’s doing. Nigel Olsson has been playing drums with Elton John since the early seventies and his rhythm tracks with bassist Dee Murray are inimitable. Any producer or engineer can tell you that to get a big drum sound you need to leave a certain amount of space in the music. The denser the music being played, the more emphasis will have to fall on the attack of the stroke; if the drummer’s playing lightning-fast tom rolls all through the song, a big decay with prominent reverb and a lot of emphasis on the low end will make things murky and indistinct. So if you’re playing fast heavy music with a lot of steady-state energy from distorted guitars, before you know it, your drums sound like Lars Ulrich on …And Justice For All, which is to say, all clicky and ticky, like a large typewriter. Olsson understands this, and he really seems to enjoy playing his huge tom fills, the sense of weightlessness that happens every time the song gets to that huge chord change and he plays his big fills (with extremely wide stereo separation courtesy of engineer David Henstchel and producer Gus Dudgeon). You know the chord change I mean: ‘this boy’s too young to be singing the blues‘, ‘…beyond the Yellow Brick Road‘. Elton (and Bernie Taupin of course) was lucky to have a drummer on his team who was so attuned the nuances of his songwriting. 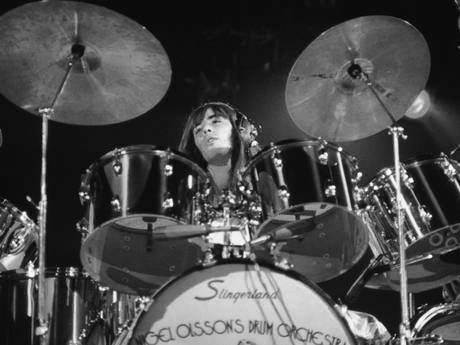 Nigel Olsson. 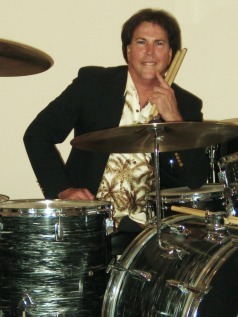 Note the drums without resonant heads. Very seventies, that. This entry was posted in Music and tagged Al Stewart, Alan Parsons, David Hentschel, Dee Murray, Drum tracks, drummers, drummers who can drum/singers who can sing, Elton John, George Ford, Goodbye Yellow Brick Road, Gus Dudgeon, Lars Ulrich, Martin Lamble, Nigel Olsson, Stuart Elliot, underrated drum tracks, underrated drummers, Year of the Cat on November 2, 2013 by rossjpalmer. There’s a strain of music that came into existence around 1975 and began to disappear in around 1985. It sits on the opposite end of the fidelity spectrum to the messy lo-fi singer-songwriter stuff that entranced me as a teenager. Not a genre so much as a sensibility, it’s principally American (although copied all over the world) and could only exist in a booming industry. Its creation required the spending of a great deal of money, both on studio time and top-flight musicians; pillow-soft but steady as machine, it is, crucially, not machine-made. When hardware sequencing became a dominant studio resource in the mid-1980s, this music was finished commercially within a year or so and done altogether by the mid-nineties. Not black or white, not rock or pop, not funk or soul, it was instead all of these and none of these. To make it, you needed electric pianos, jazz chords, dampened drums and vocals mixed dry and close. It was made by adults, for adults. To this day, it doesn’t have a satisfactory name. Some call it yacht rock, which speaks to its opulence but says nothing about the music itself, relatively little of which was rock. It lacks the aggression, the emphasis on power and backbeat, of rock music. 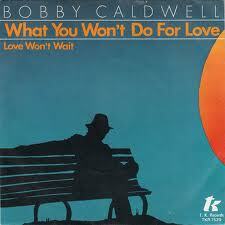 Bobby Caldwell made an enduring classic of this kind of music called What You Won’t Do for Love. Of course, it’s a great song, sung brilliantly by an underrated vocal talent. But that’s not all it is. Produced and engineered by Ann Holloway Masters (rare indeed in the late 1970s for a woman to not only produce but engineer a session), it’s a wonderful sounding record, too, with a glorious low-end richness (the bass guitar is gorgeously thick, the toms have been damped and tuned low) and a beautiful sleepy horn sound. The guitar plays Curtis Mayfield-esque soul licks, and Caldwell holds the whole thing together with his electric piano. Late in the song, during the long outro, a nocturnal synth comes in of the sort that would be sampled endlessly in 1990s hip-hop. The band hangs on to the groove for a few minutes after Caldwell stops singing, and frankly, if they’d have kept going for hours I wouldn’t skip it. What You Won’t Do for Love hit big, deservedly, on the pop, R&B and Adult Contemporary charts. It’s been covered by Boyz II Men, Roy Ayers, Goldie and Go West and sampled by 2Pac (three times! ), Biggie Smalls, Aaliyah, Kool G Rap and the Luniz. Caldwell will have a comfortable retirement off that little lot. Good on him. But the style he worked in is a thing of the past now. As the record-making process became more computerised, the precision of the drum machine became more highly valued than the feel of a steady human drummer. Yet the feel of this style of music was the result of asking gifted musicians to play understatedly, without obvious shows of virtuosity, in service of the song. While the programmed rhythm and the MIDI keyboard might have seemed like shortcuts to a professional-sounding sheen, they led instead to the brashness and gigantism that we now associate with the 1980s (but which didn’t begin at the start of the decade – it crept in instead, becoming the dominant aesthetic around 1984 and 1985) and the rigidity and uniformity of today’s Pro-Tooled world. 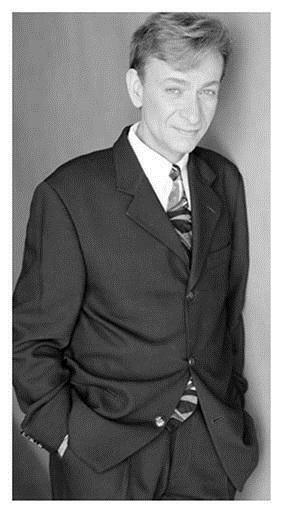 This is Bobby Caldwell, funky white guy. 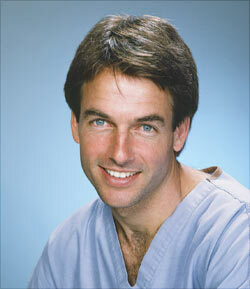 Can I trouble you to listen to my new EP, Last Swallow? This entry was posted in Music and tagged bass guitar, Bobby Caldwell, Boz Scaggs, drum sounds, Drum tracks, drummers who can drum/singers who can sing, Drums, Fender Rhodes, funk, funky white guys, hi-fi, Michael McDonald, record production, records that sound great!, Smooth music, soul, synth, yacht rock on March 22, 2013 by rossjpalmer.